Vacuum Tune-Up Sale. Get any brand of vacuum tuned up during April, 2018, and save 25%. Regular price service charges are available at the store. 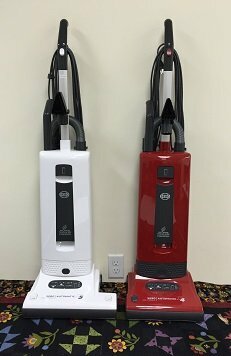 SEBO offers the world's best vacuum cleaners for pet hair removal, allergy and asthma relief, ease of use, and reliability. SEBO vacuums are made in Germany. Both FELIX models can morph into a floor polisher by attaching SEBO's DISCO head. To underscore their reliability, these vacuums come with a seven-year motor, five-year parts and labor warranty. They also feature a "flex" neck with amazing 180 degree steering ability, variable suction control on a three-level adjustable handle, and ultra-modern filtration system, a detachable suction unit that becomes a hand-held vacuum, and instant-use suction hose, a full bag or clog indicator, a low 6-inch horizontal cleaning profile that fits under beds and furniture, a long 31-foot cord, and two on-board attachments. Made in Germany, the AUTOMATIC X4 and X5 vacuums are the best commercial-grade, upright vacuum cleaners in the world because they are technically advanced and uniquely easy to use! There are two models, offering a choice between power head widths...the 12-inch AUTOMATIC X4 and the 15-inch AUTOMATIC X5. They have truly automatic height adjustment, to ensure optimum performance on carpets and hard-floor surfaces along with superb pet hair removal. The AUTOMATIC X4 and AUTOMATIC X5 are powerful, yet quiet, and will provide years of reliable use! They also have a convenient instant-use cleaning wand and suction hose with an eight-foot reach, three on-board tools, a lifetime belt warranty, plus a five-year warranty on other parts and labor. 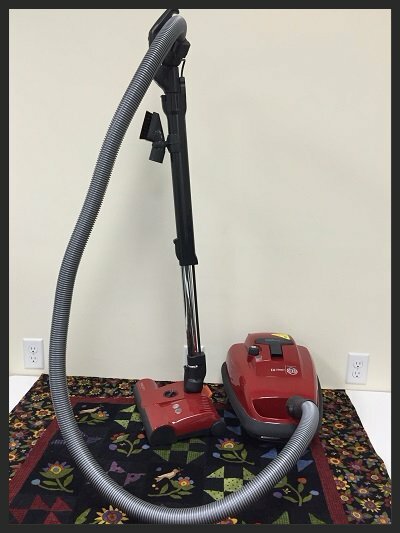 Additional features include excellent filtration, a giant 1.4 gallon bag, an extra long 40-foot cord, rubber-coated wheels to protect floor surfaces, a low 5.5 inch horizontal cleaning profile that fits under beds and furniture, and tool-free brush roller removal for replacement or bristle cleaning.